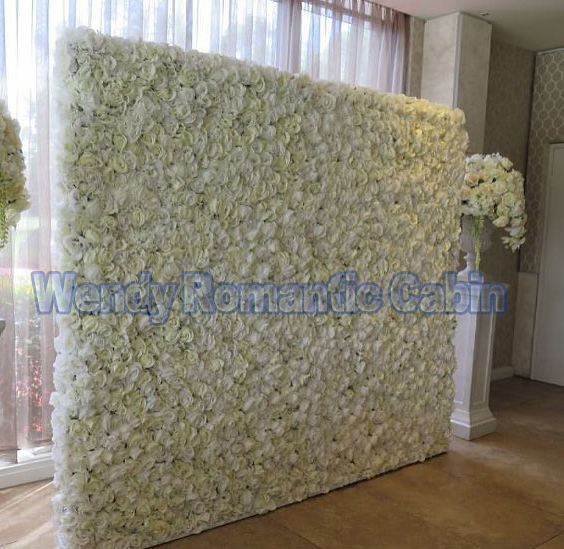 Our Flower walls come in plastic panel size is 60cm*40cm. 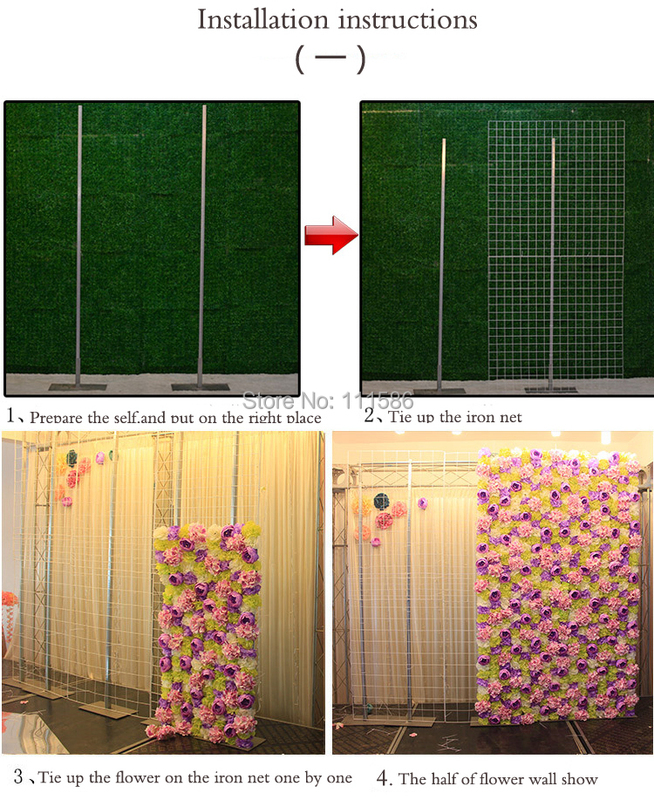 Simply cable tie them together and hang them from your pole frame to be used at events. If your looking to decorate an interior wall as a feature, these can be attached simply by using a staple gun. 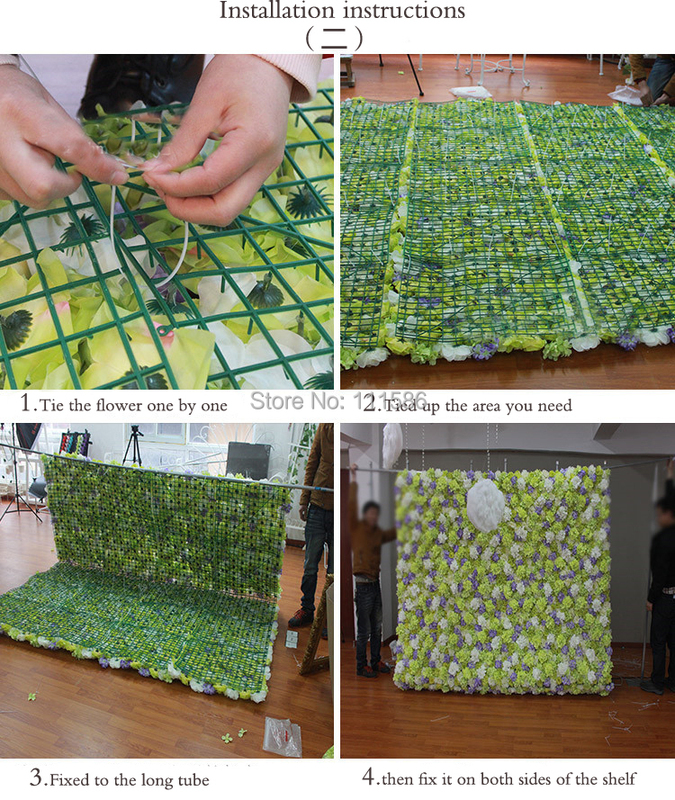 ​if you want to make which size wall,please tell me,then i can tell you require quantity.